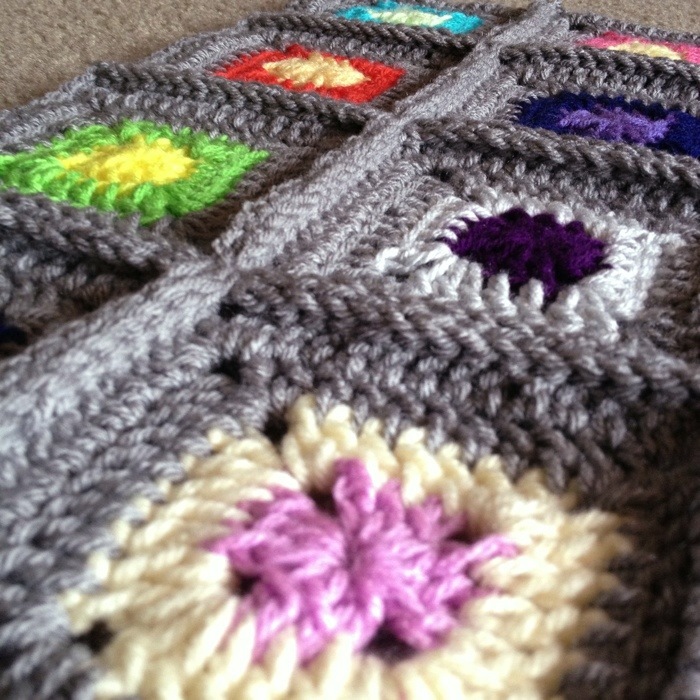 32 tiny two-round grannies came together with a lovely, rich shade of grey to make this 20″ square cushion cover. Click here to get info on ordering a cushion cover as a custom piece! I enjoyed every moment from choosing the crazy colors to reacquainting myself with an old joining method of mine! I used slip stitch to join the squares, and I love the raised grid result. 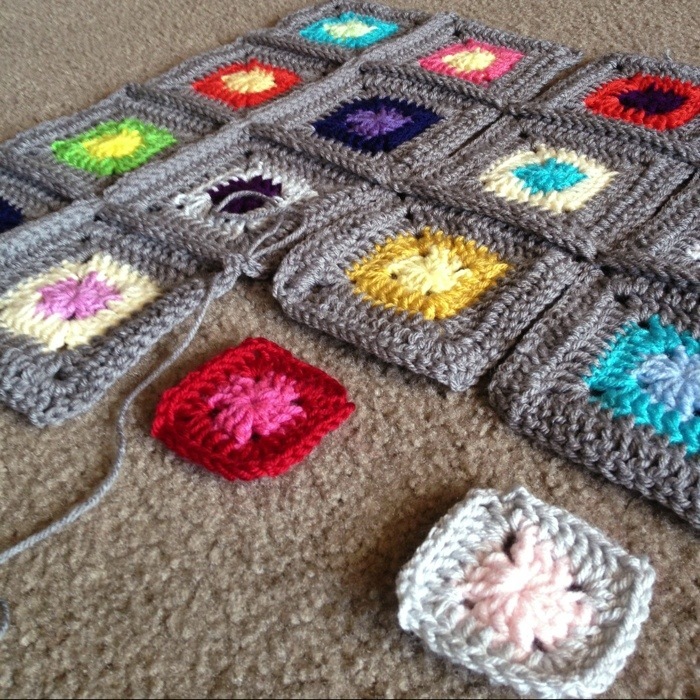 I worked 2 regular solid granny rounds, then added the first round grey with front side facing, then a second round grey with wrong side facing. 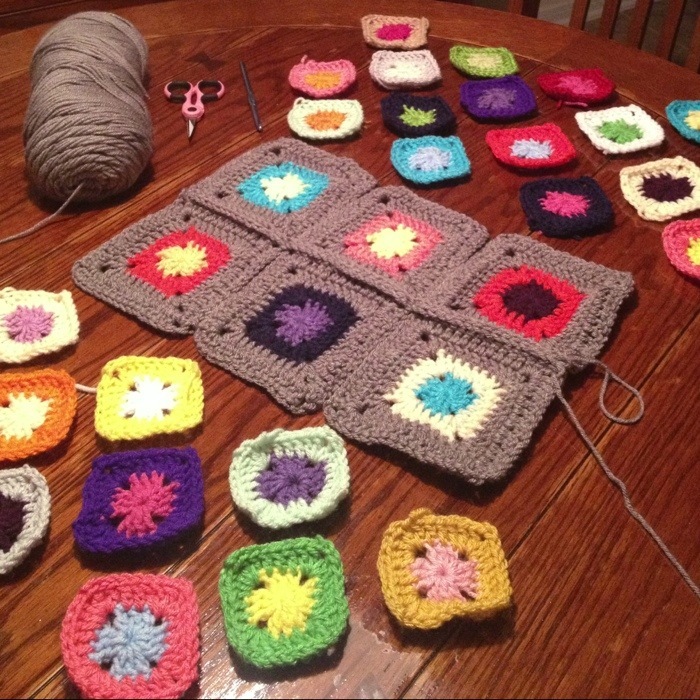 This forms extra texture around the edge of each granny square. 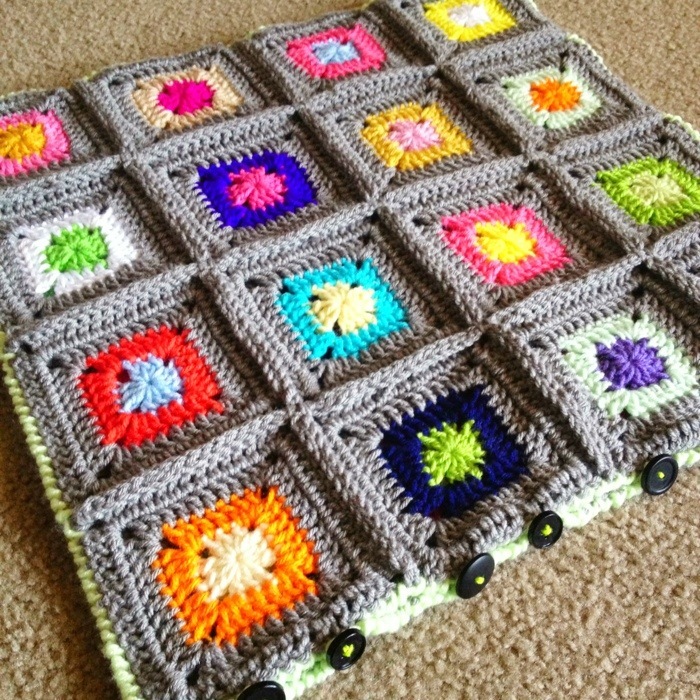 After everything was joined together, I used reverse SC in a neon green all around three edges of the cushion – joining front to back – then added buttons down the final side across from button loops. 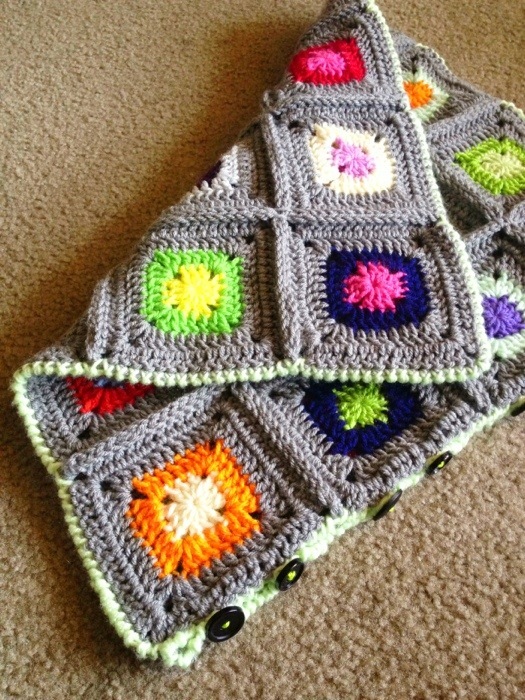 Posted in Cushion CoverTagged Crochet, Granny square, Grey, Motif, ScrapsBookmark the permalink.